It’s official. 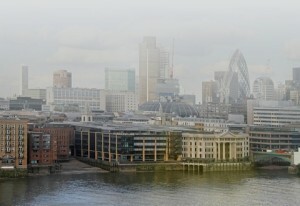 Despite the government recently claiming that the entire UK would comply with the EU Air Quality Directive by 2025, EU air quality targets in some of Britain’s biggest cities are now highly unlikely to be met, even by 2030. All the EU’s member states were supposed to comply with stiff targets on air pollutants by 2010, a deadline long past. This has been due, in part, to emissions from the increasing number of diesel vehicles on our nation’s roads. In addition to emitting more particulate matter (PM10 and PM2.5) than petrol vehicles, diesel engines also directly emit a surprising amount of nitrogen dioxide (petrol engines tend to emit much more nitric oxide, which is less harmful). Particulate pollution and nitrogen dioxide are linked to a host of nasty respiratory illnesses and increased mortality rates in areas of poor air quality and during high pollution episodes. The EU Court of Justice recently heard that three UK cities, London, Leeds and Birmingham, will probably not meet the goals by the prescribed date, during a civil case brought by the air quality activists Client Earth. Their case, that the British government has reneged on its legal duties on nitrogen dioxide, has already succeeded in Britain’s Supreme Court. The EU case follows on from the winning judgement, brought about by UK judges who asked their European counterparts to decide on the precise legal meaning behind specified areas of the EU Air Quality Directive. The case is being tried in Luxembourg, with Client Earth insisting that fresh scientific evidence reveals nitrogen dioxide as having very similar devastating health effects as the notorious fine-particulate pollutant PM2.5, which those in power already acknowledge causes a tragic 29,000 premature deaths in this country alone every year. And Britain’s tax policies haven’t helped by actively encouraging more and more of us to buy diesel vehicles. to clean the air. The sum being invested actually runs to £billions, set aside to increase interest in ultra-low emission vehicles, sustainable travel and green transport, including a whopping £400m to support the fledgling ultra-low emission vehicle market next year and £500m more to extend support until 2020. The case should be decided by the end of 2014, and will then return to the British Supreme Court in 2015 for the final judgement. If they lose, the government will be forced to look again at the tax policies that drive more take-up of diesel vehicles. One key suggestion for bringing deadlines back in line is the total pedestrianisation of cities. With traffic in places like London’s Oxford Street emitting in excess of 3.5 times the legal nitrogen dioxide limit, increasing by as much as 10 times the limit when it’s busy, there’s a very long way to go. The story also serves to illustrate how very slowly the wheels of justice turn. With 29,000 directly-attributable deaths a year pinned on fine particulate pollution and with nitrogen dioxide responsible for similarly gruesome statistics, let’s hope the matter is resolved as quickly as possible so that lives can be saved. Is the air you breathe as clean and fresh as it can be, or are there hidden dangers? Do you need an air quality survey, carried out by professionals, inside or outdoors? If so we’ll be delighted to help.